Castle Ely Mill was originally a medieval watermill and stone barn, which have been converted to provide residential and self-catering holiday accommodation. 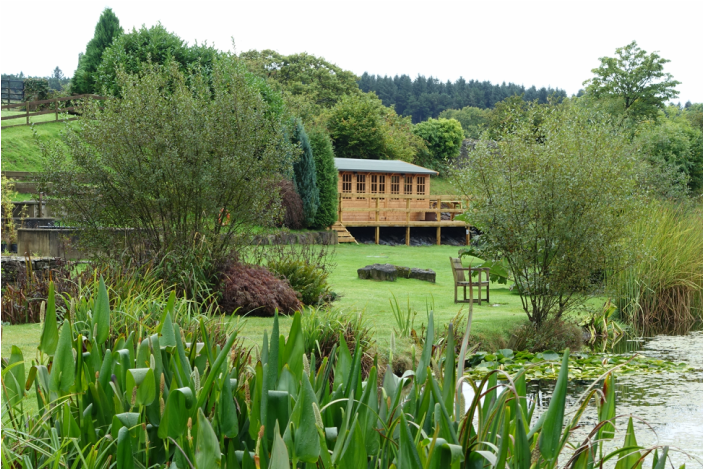 Set in four and a half acres of landscaped grounds, with a beautiful fishing lake, there is an abundance of wildlife visiting daily. Our three self-catering holiday cottages are decorated and furnished to a high standard and are fully equipped with everything you would find in your own home. Whilst the buildings are old on the outside, they are comfortable and modern on the inside. “Pembrokeshire - Wales' most popular coastal destination"
Castle Ely Mill is an ideal location for those looking for a peaceful retreat whilst also being a great location for walkers looking to access Pembrokeshire’s beautiful coastal and inland walks which surround the award-winning coastline. There are also many cycling routes for both novice and expert cyclists. It's a superb location for families, with so many blue flag beaches within easy access – our closest beaches are Amroth and Wisemans Bridge, both just a few minutes away and Tenby is a mere 15 minutes drive. There are also many adventure/activity parks and open farms in the area, all within a short drive. The grounds at Castle Ely Mill surround the property and guests are welcome to take full advantage of their beauty by taking a stroll around at any time, or just relax and soak up the atmosphere beside the lake. Of course you are also welcome to fish free of charge. A communal games room / social area was added in the summer of 2015. This is located adjacent to the lake and provides an indoor games area with a pool table, dart board, mini table football and several boxed games available, plus a TV and stereo/radio. There is also an honesty bar with a variety of drinks available to you. The outdoor deck area provides fantastic views across the lake and is an excellent place to while away a few hours in the sun! If you wish to have a barbeque during your stay, we can provide a charcoal bar-be-que and tools - all you need to do is provide the charcoal and food.